The Panasonic Lumix DMC-ZX3 remains an excellent compact camera, but it's much less of an enjoyable surprise than its predecessor, with little really new on offer except for videographers. Still bridging the size gap between the smaller FX and larger TZ series cameras, the ZX3 inherits the 720p AVCHD Lite movie format, bringing with it a much-needed reduction in file size plus a very welcome one-touch record button, HDMI port and simple in-camera editing options. There's no stereo sound or full 1080p HD, but the improvements have definitely made the ZX3 a more appealing option in terms of moving footage. Still images are a different story, however, with the move to 14 megapixels and the new Intelligent Resolution feature bringing few actual benefits. While the photos produced by the ZX3 are slightly higher-resolution than the ZX1 without any drop in quality, most users won't see any benefit from the extra pixels. The ability to increase the zoom range without having to decrease the image size is the main benefit of the Intelligent Resolution function, but the quality does noticeably degrade. Thankfully all of the other appealing aspects of the ZX1 are present and correct. The combination of an ultra-compact, lightweight and well-made body with the 8x, 25-200mm lens remains a real winner, with few real rivals from other manufacturers, although we'd have liked to see some of the flaws of the ZX1 addressed in this version, most notably the slow burst shooting speed (even slower now), flimsy battery compartment cover, and the annoyingly loose Mode Dial. 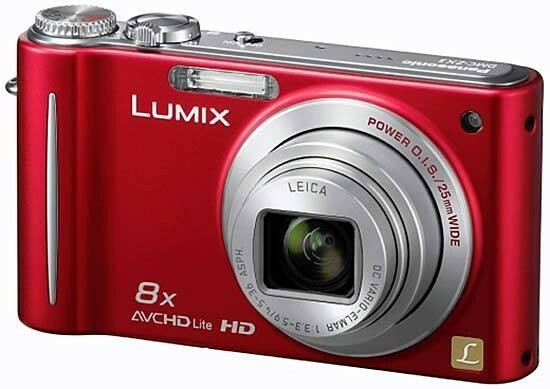 The lack of significant improvements aside, the Panasonic Lumix DMC-ZX3 remains a compelling point-and-shoot camera thanks to its winning combination of small size, quick speed and big zoom.